Our first guest post on the ERN blog! Ever! Let me introduce Drew Cloud who runs the fascinating blog studentloans.net. Not too long ago, I remember U.S. student loans surpassing one trillion dollars (a one with 12 zeros!) for the first time. Now we’re at $1.4t and the amount just keeps growing. Make sure you check out Drew’s blog, too, especially the treasure trove of data on the topic. Take over, Drew! A quick online search of student loan debt in America reveals the astonishing truth about the widespread, increasing expense of attending a college or university. Currently, more than 44 million borrowers have amassed over $1.4 trillion of student loan debt, and each year, the total continues to climb. While taking out student loans is now firmly embedded in the college experience for the majority of students, the picture remains bleak for borrowers. Here are five unfortunate facts about student loan debt in America to prove that point. Student Loans Owned and Securitized, Outstanding. Source: Federal Reserve Bank of St. Louis. The Institute of College Access and Success reported that the average student loan debt undergraduate students leave college with is just around $30,000. The number has steadily increased over the last few years, up 4% from 2015, a rate higher than the average annual inflation or cost of living salary adjustments. Part of the problem aiding in the increased student debt burden faced by graduating students is linked to a decrease in state funding for public schools, resting at 18% lower than a decade ago and showing no signs of increasing in the near future. Graduates who select a standard repayment program spread over 10 years face a monthly payment of around $300, limiting their options for setting money aside for emergencies, establishing a retirement nest egg, or accumulating enough to contribute to the down payment for a home. As reported in early 2017, the total outstanding student loan debt now surpasses credit card debt. The Federal Reserve Bank of New York published a report citing $779 billion in credit card debt held by all Americans, nearly half of the student loan debt burden. Although credit card debt can be more costly in terms of the interest rate charged by card issuers and banks, the payment terms carry far more flexibility than student loan repayment programs as well as lower minimum monthly payments on revolving balances. Neither debt burden is ideal, but the fact that student loans outpace credit card debt points to a clear problem facing younger generations of borrowers. Although most statistics point to the student loan obligations of undergraduate borrowers, graduate and professional degree students are not immune to the crisis. Nearly 40% of student loan borrowers used the funding to finance a graduate-level degree or program, and when added to loans taken out for undergraduate studies, the total amounts due are hard to swallow. For an MBA student, the average student loan debt is $42,000, while a Master of Education graduate leaves school with just under $51,000. Law school students and medical school graduates have the most staggering average loan balances, currently at $140,000 and $161,000, respectively. Although graduate degrees often lead to higher paying jobs shortly after graduation, advanced degree students face a substantial debt obligation for an extended period of time. In recent years, several repayment program alternatives have become available to certain borrowers, specifically those who are in low-salary jobs or public service positions. However, the addition of income-based repayment programs has not helped ease the potential for default among the millions of student loan borrowers. As of April 2016, nearly 40% of Americans who borrowed from the Department of Education are not currently making student loan payments or are behind on monthly payments. In total, more than $200 billion is owed, with 3.6 million borrowers in default, 3 million delinquent, and 3 million having postponed repayment due to economic hardship. These figures represent higher percentages than Americans who have defaulted or stopped paying on revolving home equity loans, credit card debt, and auto loans. The Department of Education sets limits on how much total funding an individual can receive to pay for higher education expenses. While these amounts are relatively high, students who have no means to pay for tuition, room and board, or books out of pocket often face the need to borrow more than the federal maximum. To meet the growing needs of cash-strapped borrowers, the use of private student loans has increased to just under 20% of all student loans. In some cases, private student loans are used to pay for expenses while a student attends school, and in others, graduates utilize private lenders to refinance federal student loans originally funded by the government. In either case, private student loans have fewer repayment options than federal loans, leading borrowers down a road of inflexibility should financial circumstances change down the road. The student loan debt crisis continues to be a point of contention among current students, graduates, parents, and lawmakers. Until some stops are put in place to reduce the rapidly increasing cost of attending a college or university or individuals are more motivated to set money aside for their children or grandchildren’s future education, there is no end in sight to impact student loans have on Americans. Drew Cloud is an enthusiastic aspiring journalist who recently started his own news outlet, The Student Loan Report. He spends his spare time covering one of his favorite, and most relevant to his finances, topics: student loans. Posted on April 20, 2017 April 20, 2017 by earlyretirementnow.comPosted in General, Loans, SpendingTagged debt, guest post, leverage, personal finance, student loans. Next Next post: Have bonds lost their diversification potential? Thanks, Drew for writing this guest post. I hear about the “student loan crisis” all the time, so it was good to see someone put this into perspective and give some concrete numbers and comparisons. I was very fortunate to not have student loans myself (neither college nor graduate school) but I have great concerns about financing college (and graduate school?) for our daughter. Thanks for having me! I had lots of trouble with student loans myself so I hope some of your readers find the information useful. I’m very concerned for my future children as well, especially with the rising costs of college. Ayuuup. As the cost of college increases, people will rely more on private loans. I was confronted with the issue of not being able to borrow more to cover my costs. Fortunately we found a way to take out public loans, but it was stressful. We need a serious overhaul of our higher education system–and the expectation that a college degree is essential for getting into the workforce. Absolutely. I almost fear that there is a vicious cycle: higher college costs cause more loans. And because of easy availability of loans and people not thinking about the ramifications of starting with so much debt, colleges feel they can raise tuition even more because they can getaway with it. Grrr! Spot on! When the government started making student loans more available, colleges in turn just raised tuition prices. I think lots of the blame could be put on the colleges, not just the government. Do we know if these loans are being securitized or if there are any derivatives that are being traded among institutions? Any evidence that we might be looking at another 2008 once defaults exceed a certain level? I don’t see the same problems as with the sub-prime mortgages in 2008. At least not yet. So the “good” news is that a lot the bad credit risk is on the government balance sheet. Of course, that will come to haunt us eventually when the tax payer is on the hook for defaults.But at least the prospect for contagion in the banking system a la 2008/9 should be much lower. I think some of these numbers, while potentially interesting, do a disservice to the discussion. These numbers elevate the mathematical mean over the typical experience (i.e. the median). I have an M.D. and 6-figure debt outstanding, which elevates that average; forget the fact I could right a check this morning and make it all go away, my high debt is not a public policy problem. I don’t know why one would conflate undergraduate debt burden and graduate/professional education, other than to make the numbers as big as possible. The median debt level for an undergraduates at state institutions is something around $10,000, about the price of a decent used car. There may be some problems with student loans in some subpopulations, but any discussion of student loans omitting the above basic fact is less than constructive. I am much less worried about conflating undergraduate and graduate. They are both a problem. Debt for MDs might be a bit of an exception. 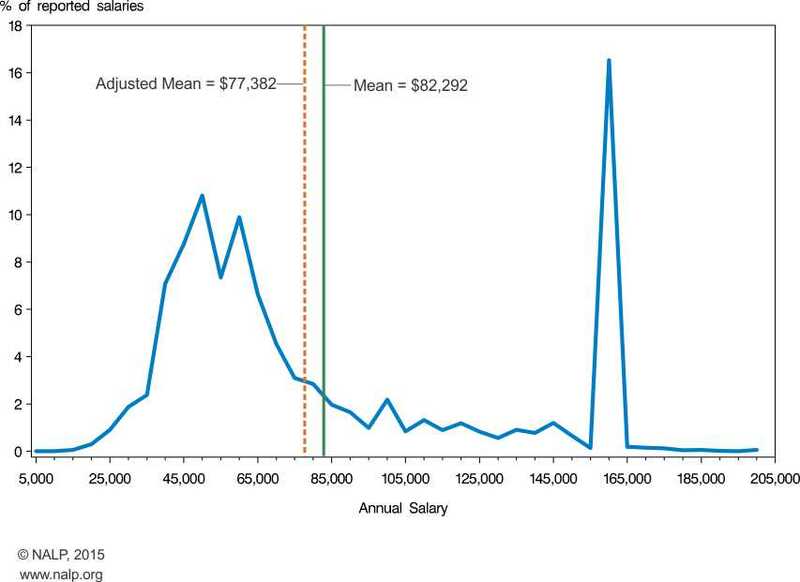 At least as an MD you are more or less guaranteed a $250k+ income. Eventually. But for a lot of other graduate programs (Law, dental, MBA, etc.) the debt to potential earnings ratio is a lot less benign, even potentially scarier than for undergraduates. There are lots of graduates from fancy law schools with almost MD-sized debt who don’t work for fancy law firms. They work for pretty crummy salaries. Or people with $100k+ in debt for an MBA who now make $60k a year before tax. They don’t just take “write a check” like you can. Fair enough. Not to say there can’t be problems on the grad/pro side too, but I think it’s useful to look at them separately. Different (thought loosely related) problems and different solutions. I’m not sure if I misread your comment but the above stats actually are separated out based on level of education. The $30,000 stat is strictly for undergraduates with a 4-year degree. The section below goes more into the average grad and professional school debt. Regardless, still a scary situation that our nation faces. Wow, good point! Consumers have indeed gotten their act together and used credit card debt sparingly since the 2008/9 crisis. But student loans are a different story! With interest rates rising it will be interesting to see what happens in the future with student loans. Will the bubble burst on student loans or is this hyped up by the media. I have to admit since I didn’t have student loans I didn’t pay much attention to it or for that matter what the media has to say. I have a feeling though I’ll learn real quick if we go into a financial crisis due to student loans. Thanks for stopping by! Same here: we never had student loans. Not so sure if our daughter can get through college without loans though. And I am worried a little bit about the financial hiccup once the defaults pile up. So far mostly the government is on the hook. Not sure if that’s bad news or good news, though. Is there any way to invest and take advantage of this secure (can’t be discharged even in bankruptcy) and high interest rate debt? Back in the global financial crisis there were some hedge funds who bet against the mortgage pools through default swaps. But that’s not available to the average investor and now it doesn’t look like much of the risk is really pooled and sold. Anybody has any idea on how to profit from this? I can’t “short” my tax bill. Eventually the taxpayer will have to bail out the loans. As an MBA and spouse to a JD, I look at those graduate debt #s w horror…. At most law schools, <10% folks make it into big law, unless you are at Harvard & co, where the number is higher but not 100%. Compare that to a $140k average loan at graduation (3 years of school, working part time very hard, need tuition & board). If you end up in the big law spike you will be fine (assuming you dont flame out), if you are in the small firm mass, it gets VERY hard to justify and pay for law school loans. Luckily both of us lucked out and ended up on the right half of the bimodal distriution curves, but I warn any prospective JD in particular of the lottery they are about to play…. Thanks for sharing! That’s exactly the impression I got: for a lot of professional degrees there are lots of folks with a ton of student loans but no sufficient income to pay that off so easily. This is a very interesting topic to discuss. I believe that student loan is great idea for the future of our next generation but with much high interest it seems like this is the one that burdens our graduates. my wife and I are pharmacists and we racked up 150k+ each in student loans. it’s a huge sum of money, but with our stable jobs and good income, we’re on track to pay it off. i got my loans refinanced down to 2.45% so really not in a rush to pay it off early. what i’m afraid of here are those graduating with the same amount of debt, but in fields where they can’t command the high enough salaries to pay off their loans (as mentioned above with low-tiered JD’s). Heck even a BS degree from a private university is 100k. I’ve been concerned about a student debt “bubble burst” for some time… but recent reports show that we’re at all-time low unemployment rates. I don’t think there has been much wage growth though, so I doubt these kids employed as baristas can really afford to pay off their loans. loan default rates are increasing… so at what point do enough defaults cause a burst? side note: a friend of mine maxed out her loans during school. after graduating, she had deferred her loans to do a residency for a year…. and for the past 3-4 years has just been paying the minimum income based amount. her current loan balance is like 340K. I almost had a heart attack when she told me that. some people just don’t understand that compound interest works in the opposite way too. Bummer! This friend better hope for a big paycheck! Thanks for sharing! Wow that’s a lot of debt! But with a fulfilling and well-compensated job it should be possible to take care of. At 2.45% I would stretch this out as long as possible! The student debt problem has been intriguing to me for some time, especially in the realm of healthcare professions. In my field, physical therapy, a doctorate is required to practice for new graduates meaning four years of undergrad and three years of grad school. I was able to escape undergrad with no debt due to grants and scholarships but no such help was offered for PT school. I chose to go to a school in my hometown to minimize my costs by living at home but still accrued $100,000 in debt but this seems to be on the low end of debt from speaking with many of my colleagues. My girlfriend went to a different PT school in a higher cost of living area and ended up with $165,000 for the three years of grad school. I have spoken to others with combined undergrad and grad school debt of $250,000+! This would all be well and good if the salaries offered out of school could support it but the average new grad starting salary is somewhere in the $65,000 range and usually maxing out at around $100,000 if in a management position but the median is probably around $80,000-$85,000 for experience clinicians. The sad part about all of this is that most people that go into this profession choose it because they have dreams and aspirations of helping people and improving lives and never consider the financial burden. They end up being overworked and underpaid with burnout very common within 5 years of practicing but still have 6-figure student debt. From the limited exposure I have to it, this seems like a bubble and will end with a lot of defaults.